Loughor Castle is a ruined, medieval fortification located in the town of Loughor. 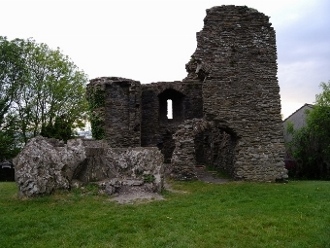 The castle was built around 1106 by the Anglo-Norman lord Henry de Beumont, during the Norman invasion of Wales. The site overlooks the River Loughor and controlled a strategic road and ford running across the Gower Peninsula. In 1946 the castle was given to the Ministry of Works, and is now in the control of the Welsh heritage agency Cadw and operated as a tourist attraction. 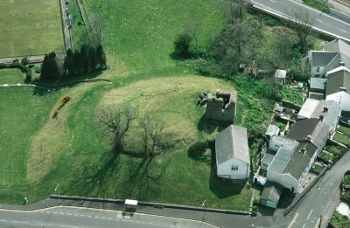 The castle sits within the grounds of the small Loughor Castle Park. The castle is now protected as a scheduled monument under UK law. The town of Loughor was built around Loughor Castle.